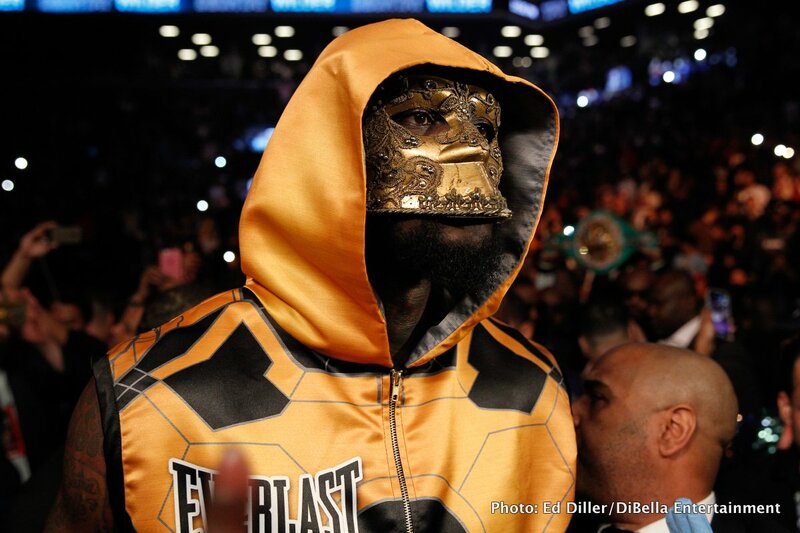 Deontay Wilder: I accept Anthony Joshua's challenge! Deontay Wilder: I accept Anthony Joshua’s challenge! “First of all, I want to congratulate Anthony Joshua on his win last Saturday night. Anthony, I am so glad we finally heard from you on Saturday and that you want to fight me as your next opponent and you want the fight to happen in the UK. “I accept that challenge and I am ready to come to the UK for my next fight. There is nothing on Team Wilder’s side to prevent me from fighting you next. “You also said on Saturday that your team is ready to meet with Shelly Finkel and Al Haymon from my side to get this deal done. They are also ready to meet with your team immediately. Let us know when – the sooner the better. You are here: Home / Boxing News / Deontay Wilder: I accept Anthony Joshua’s challenge!